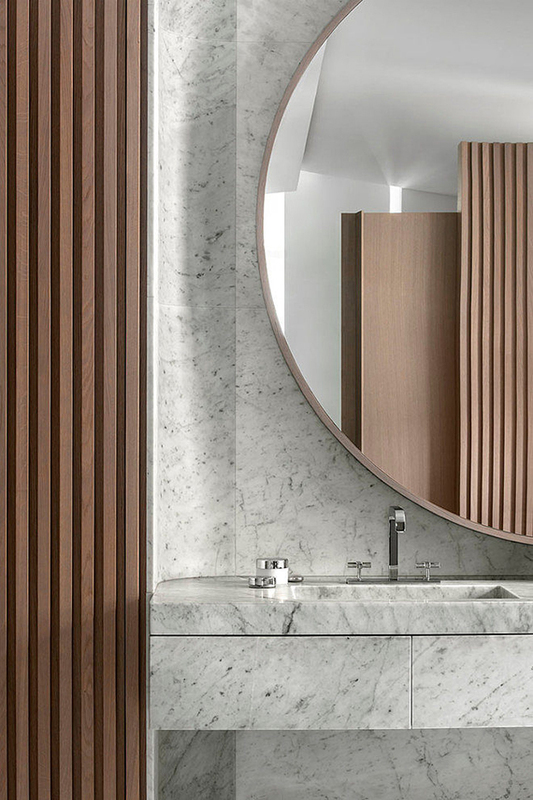 Wait till you see this bathroom meraviglioso. I mean, this bathroom is not just any bathroom, it is more of a piece of art. A sculpture that you can walk into and, ahem, use in a rightful manner. 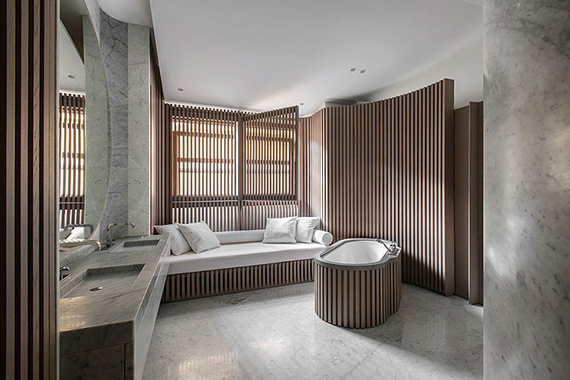 It is not only the impeccable architecture with the curvaceous forms swirling into one another, it is the use of materials as well, with the opulent marble surfaces completing the dramatic oak panelled walls in a match made in heaven. 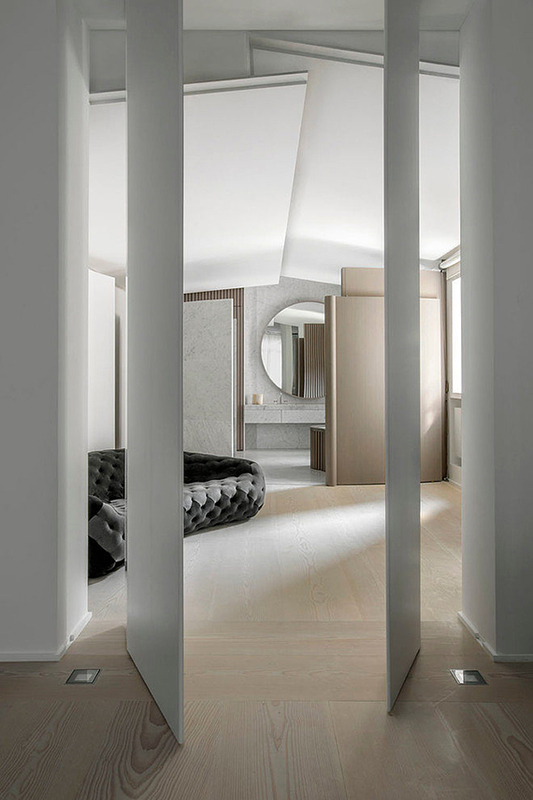 This is the exquisite work of designer François Champsaur for an equally astonishing, renovation of this Parisian apartment. Oh! 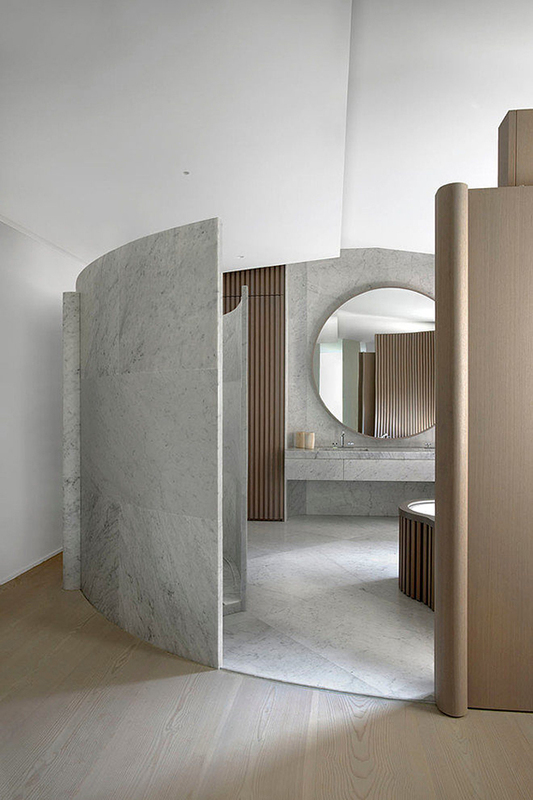 1 comment on "THE ROOM: Sculptural bathroom design"